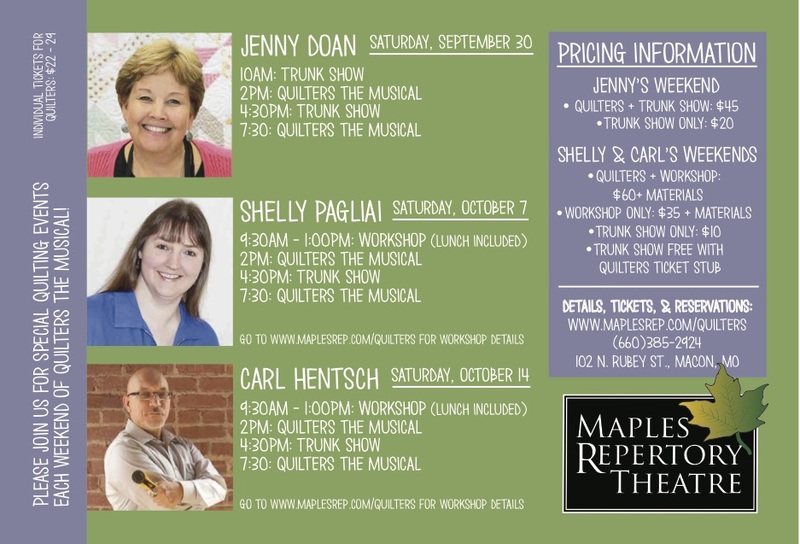 Quilters, The Musical is starting this Friday at the Maples Repertory Theater in Macon, Missouri! 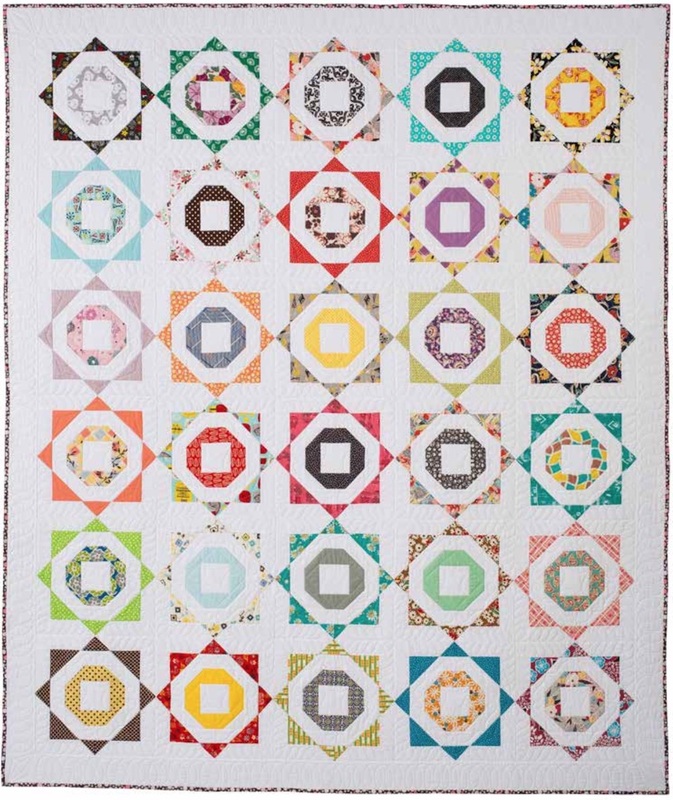 This coming Saturday, Jenny Doan, of Missouri Star Quilt Company, will be there giving two trunk shows. I’ll be there the weekend after, on October 7th, to teach a workshop and present a trunk show. Even tho the workshop is sold out, you can still come to the trunk show and watch the musical with me, so be sure and get your tickets. Here’s the project I’m teaching in my workshop. It’s from my book, “A Simple Life: Quilts Inspired by the ’50s”. If you managed to land a spot in the workshop, I’m excited to see you there — we’re gonna be having lots of fun! If you want to learn paper piecing, Carl Hentsch, of Three Dog Design Company, will be there on October 14th, teaching a workshop and giving a trunk show. I don’t know if his workshop is sold out yet, but you can call the box office and find out. Why don’t you just come all three weekends? It’ll be fun! More information can be found HERE, and you can call the box office to get tickets and find out more. I do live in Missouri but clear across the state now from Macon. I used to live 20 miles away and would stopped everything to attend. it seems like all the fun is always in Missouri! I have to go with a friend to Jenny Doan’s program………..but, even though I have heard your presentation and trunk show about A Simple Life, I would go again. But my friend chose the first weekend. Turns out it is good, though, because I have to go to the AQS show in Des Moines, IA October 7. It was amazing how there were people there from California, Arizona, Maine… all over the country who came in to see the musical! It was a great day!